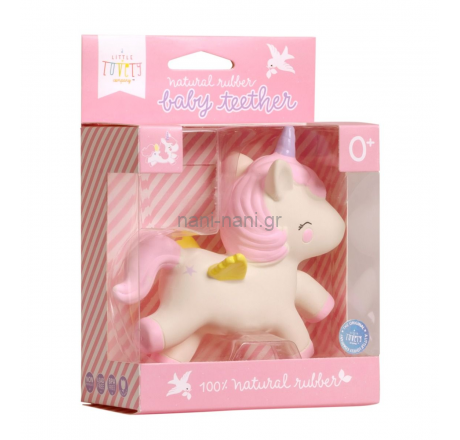 Is your little girl getting her first baby teeth? 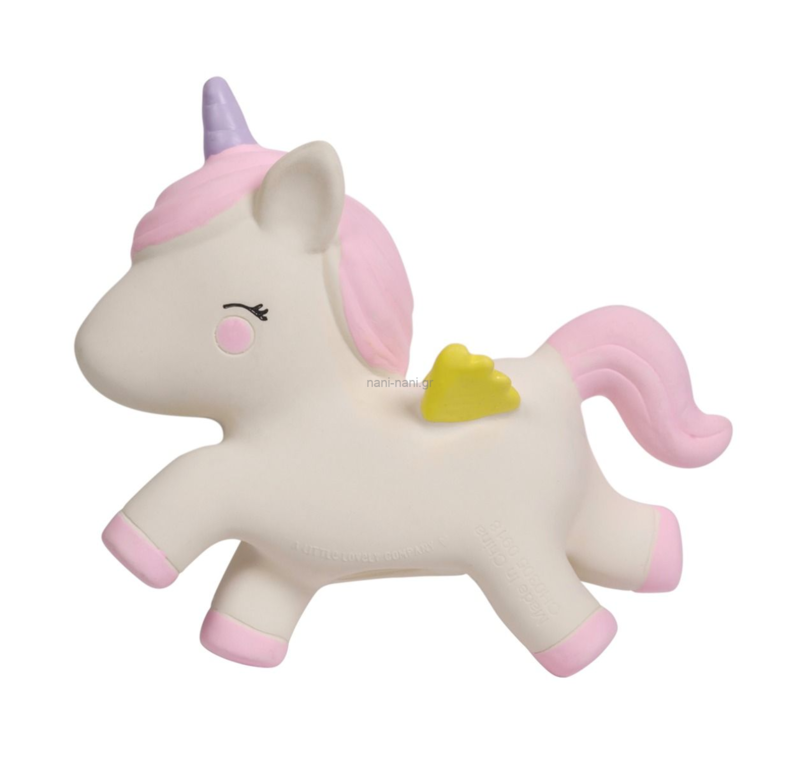 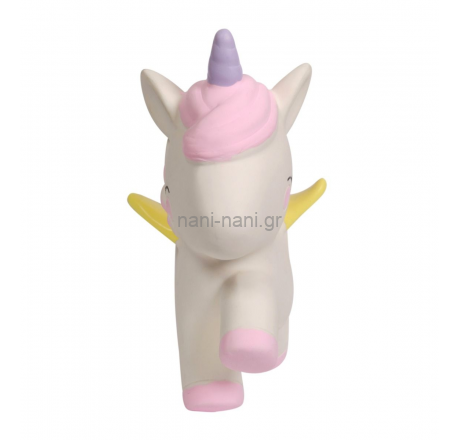 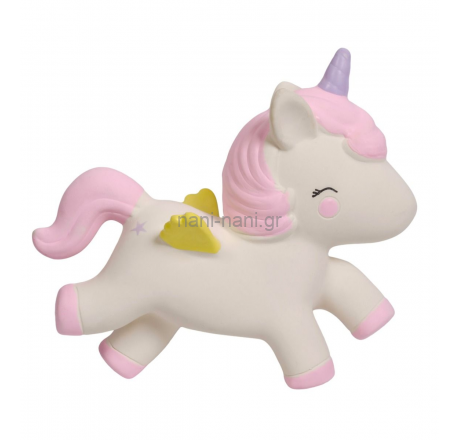 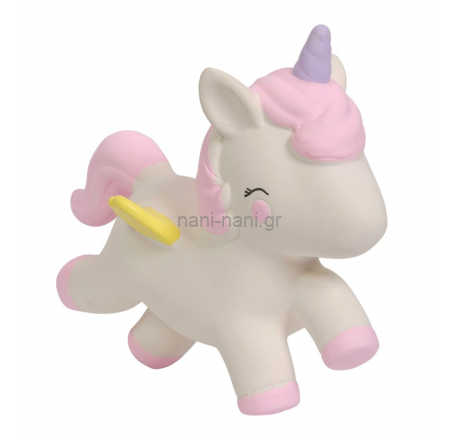 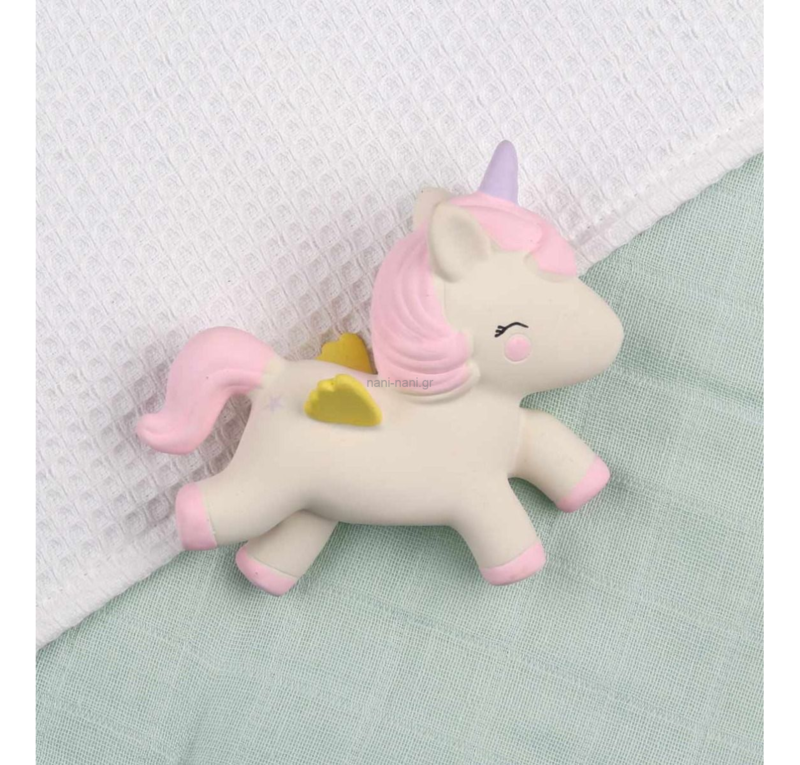 Then our cute little teething toy in the shape of a unicorn will be her perfect little friend. The toy is made of 100% natural rubber from the Hevea rubber tree, has a pleasant scent and does not contain harmful substances. A safe and friendly option if your little one is experiencing discomfort from teething. The unicorn is sold in lovely packaging and is a very cute baby shower gift for a mommy to be.